Before the leader of the free world sort of sang this little ditty, Britain’s marvelous Ben Howard took on a cover of Carly Rae Jepsen’s apparent summer smash hit “Call Me Maybe” on the BBC Lounge. 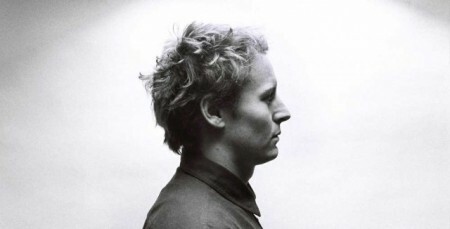 Ben Howard was one of my favorite new artists that I featured on my Springtime mix with that stunner “Old Pine” (thanks Rinker), and Ben’s whole debut album Every Kingdom is a slow-building phenom of deeply-seated goodness. Ben Howard got his footing as part of the Communion Records family, one of my favorite folk labels in the U.K. right now (um, because of their ability to casually make things like this happen). I got to have beers with one of the founding dudes when I was in London in November, and I was deeply inspired by the slow, community-focused growth of the collective and the consistently terrific sound that they have curated through their Sunday night shows and carefully-signed roster. I also got word the other day that they’re also opening a Nashville offshoot of Communion Records this Thursday, which, when combined with Third Man, will increase Nashville’s allure to me even more, if that’s possible. This cover came to me via the laser-eared Adam Sharp, the final track off his new summer(days) 2012 mix. You’re just killing it lately, Sharp. Tagged with ben howard, communion records, covers. I saw Ben Howard in March for Communion’s Austin to Boston tour and he was amazing (as were the rest of the bands part of the gig). You could tell he and Chris and India love what they’re doing. He’s coming back to the States in September for a headline tour, so if you’re looking for an awesome live show, you can’t go wrong with Ben Howard. That intro and those strings are way too familiar. Emancipator, anyone?